West Springs is an upscale community found in the highly desirable Westside part of Calgary’s southwest quadrant. Established in 2001, the neighbourhood has grown over the years to include a handful of different subdivisions each offering their own unique home ownership opportunities for buyers. Begin your search of West Springs real estate of attached and detached property types currently active on the MLS® below. Call or message us anytime if you would like to know more about listings or have further questions concerning West Springs homes for sale in Calgary. Get only the best advice today! 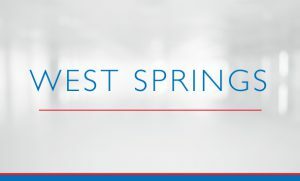 West Springs has grown considerably over the years to include a handful of subdivisions, of which have provided a wide range of upscale home ownership opportunities for buyers. Many of these subsections still have new homes for sale while others are completely sold out. West Springs consists of mostly single-family with a limited number of row and apartment style properties in between. On an overall basis, the neighbourhood consists of a mixture of starter homes and high-end luxury semi-estate and estate properties spread throughout. Construction dates for West Springs real estate varies from the early 2000’s to present day as some new subdivisions are still under development. Today, the community still has room to grow as the land inside its borders has not all been developed. Some plots remain as privately owned farmland. Meanwhile, nearby city routes like Sarcee Trail, Bow Trail and Old Banff Coach Road provide residents with quick-and-easy access to other parts of the city to the north, south and east, and to the foothills and Rocky Mountains to the west. A highly desirable attribute of West Springs location is the abundance of nearby schools found within a few kilometres. Many families planning on having kids or who have children already choose to stay in the neighbourhood for the long-term because of the convenient access to public, private, multi-lingual and special needs schools.  Questions about West Springs Homes for Sale in Calgary? Don’t settle for anything less than the best when buying and / or selling West Springs real estate in Calgary! As REMAX Professionals and REALTORS® with several years of experience in helping people by and sell in West Springs and its subdivisions, we guarantee to provide you with only the best service and advice the industry has to offer while taking care of all your real estate needs.